And just last month, Columbia decided to get rid of the cyclotron. 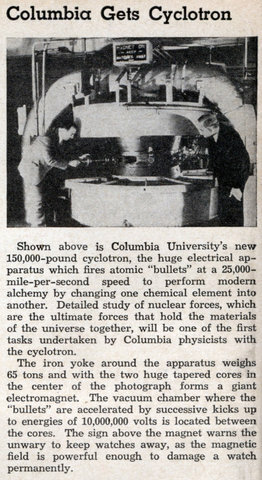 Shown above is Columbia University’s new 150,000-pound cyclotron, the huge electrical apparatus which fires atomic “bullets” at a 25,000-mile-per-second speed to perform modern alchemy by changing one chemical element into another. Detailed study of nuclear forces, which are the ultimate forces that hold the materials of the universe together, will be one of the first tasks undertaken by Columbia physicists with the cyclotron. The iron yoke around the apparatus weighs 65 tons and with the two huge tapered cores in the center of the photograph forms a giant electromagnet. The vacuum chamber where the “bullets” are accelerated by successive kicks up to energies of 10,000,000 volts is located between the cores. The sign above the magnet warns the unwary to keep watches away, as the magnetic field is powerful enough to damage a watch permanently. 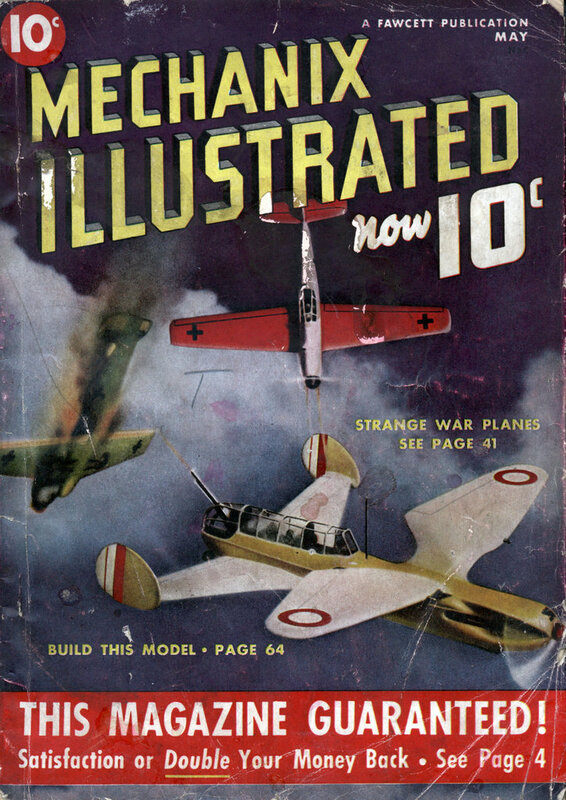 It is hard to conceive Columbia could be so thoughtless as selling history as scrap metal. I’ll bet the decision-makers at Columbia are in their mid 40s-early 60s. Baby boomers tend to think ’50s Googie architecture is dated and tacky; Gen X and millenials think it’s cool and retro-futuristic. The same thing could be at play here.